After serving St. John’s nine years, Rev. 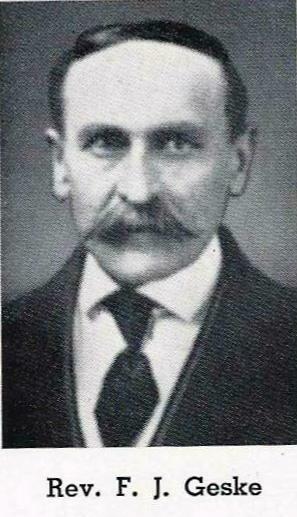 Stelter accepted a call to Fall Creek in Eau Claire County and preached his farewell sermon April 1, 1900. Rev. F. J. Geske came to us from Poahontas, Missouri, at a yearly salary of $400 and was increased to $500 in 1906. During his fourteen year ministry a reed organ was installed and the 40th anniversary observed in 1907. In 1911, members were relieved of furnishing firewood for the church and parsonage, and the pastor was granted a $50 fuel allowance. In 1913, St. John’s decided to open a full-time parochial school and Miss Clara Ehlers was engaged as teacher. In 1914, Rev. 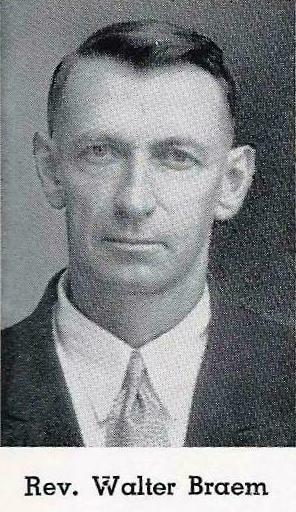 Geske ended his 14-year pastorate at St. John’s on August 2, 1914. Rev. 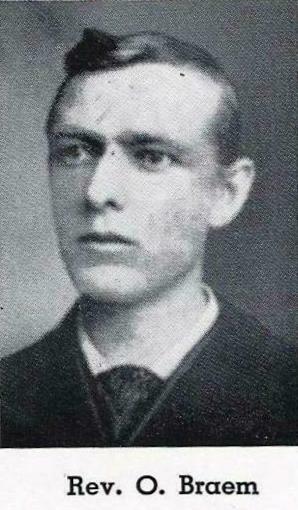 O Braem was installed March 7, 1915, but after one year’s service, the Lord called him to Heaven. The congregation paid all funeral expenses and supported the family. His son, Walter, succeeded him and was installed on May 14, 1916. English worship services was added to the existing German services in 1916. Separate English and German confirmation classes were offered in November of that year. The iron cross was erected on top of the steeple during the fiftieth anniversary year, 1917. On June 17, neighboring congregations were invited to the Fiftieth Jubilee for worship and festivities. The historic event of 1919 for St. John’s was here joining the Missouri Synod. During these years there were offerings for River Forest Teachers College, Concordia, Milwaukee’s gymnasium and the new campus of Concordia Seminary, St. Louis. Mission festivals were held annually, sometimes with three services.